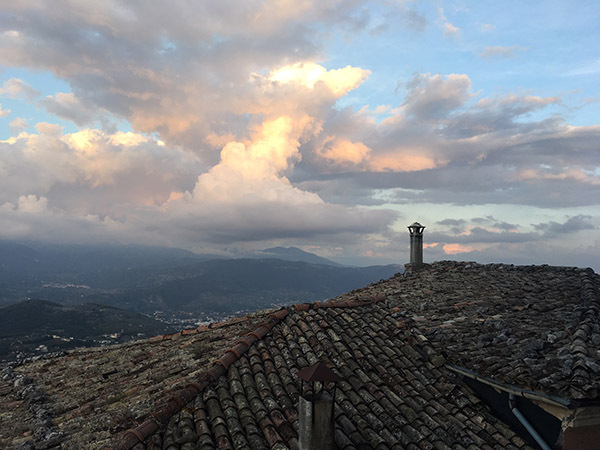 Ciociaria is a region that marches to the beat of its own drum. 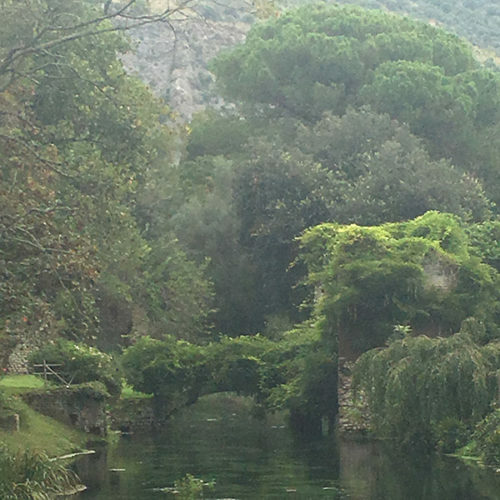 It’s charming, wildly unpredictable and utterly beautiful – and almost completely undiscovered by tourists. 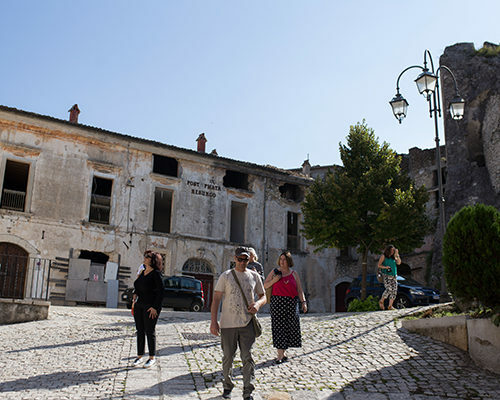 Ciociaria is an ancient region within the Lazio region of Central Italy and doesn’t officially exist on any maps. 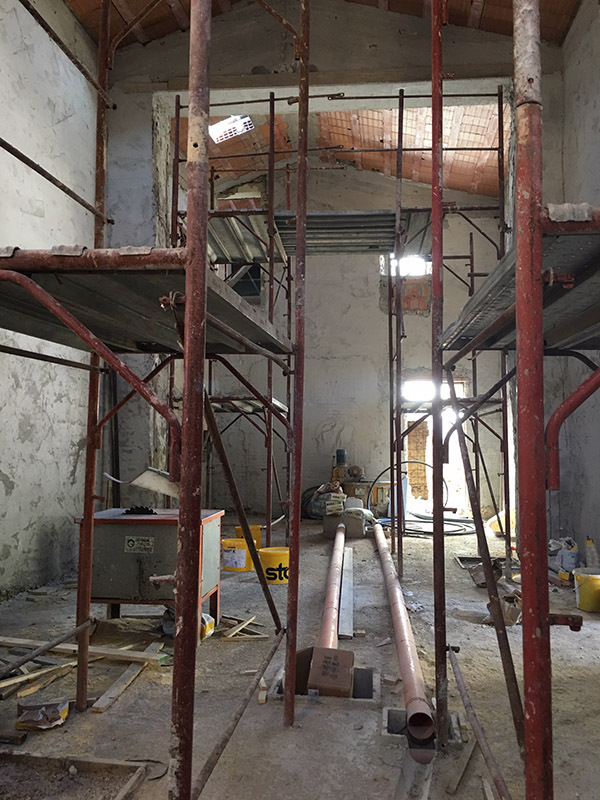 There is evidence of human settlements in the region from over 700,000 years ago and dinosaurs walked its valleys. 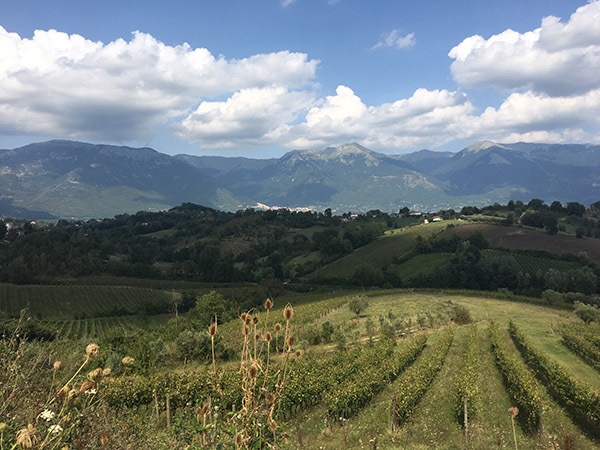 Conquered by the Romans in around 300 BC, Ciociaria has deep roots and a rich cultural heritage from the Etruscan civilisation era. 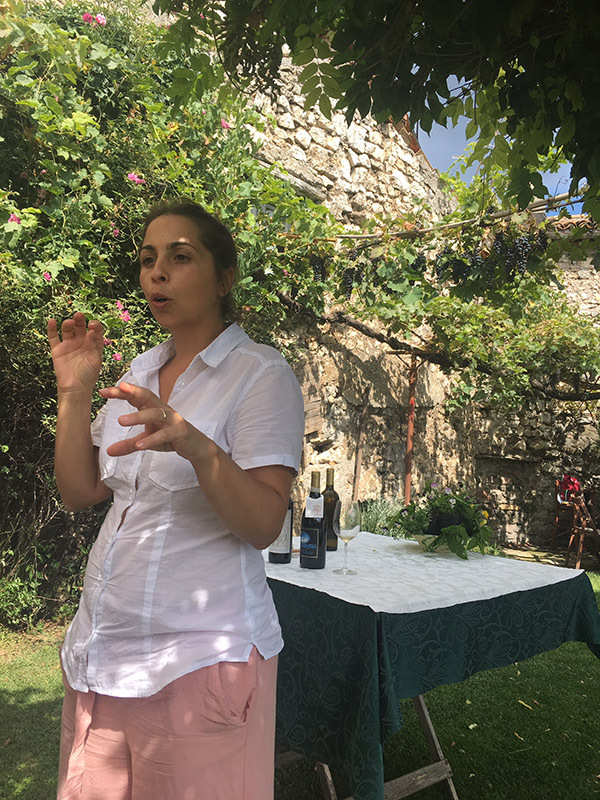 The local Italic tribes, the Ernici and Volcii, were subsumed into the Roman Empire – but their sense of joy in nature and great love of food, wine and music lives on in the hearts of all Ciociarians. 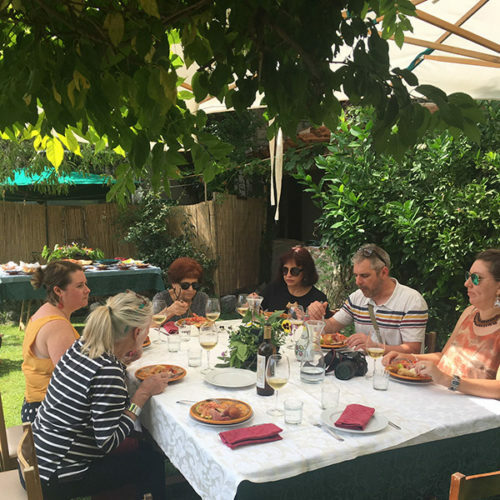 Guests on our first tour to the ‘hidden’ region of Ciociaria in Central Italy had a pretty good understanding at the end of our incredible eight days together as to why we called it the ‘Wild Heart of Italy’ food and wine adventure. This was a tour experience like no other – we were welcomed into people’s ancestral and family homes, wandered through their heritage vineyards, ate at their tables, shed tears at the magnitude of history at the sight of the centuries-old frescoes in Subiaco Monastery and the indescribable gardens of Ninfa, and we danced to the ancient sound of Ciociarian ethnic music in the cobbled stone streets and piazzas of villages with local villagers. However we all soon learnt that time has its own meaning here. 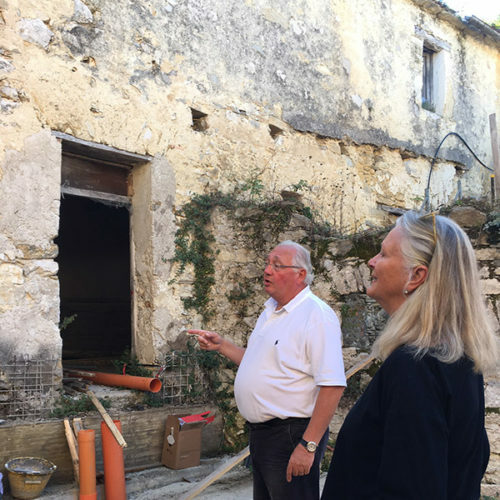 Not everything happened entirely to plan. 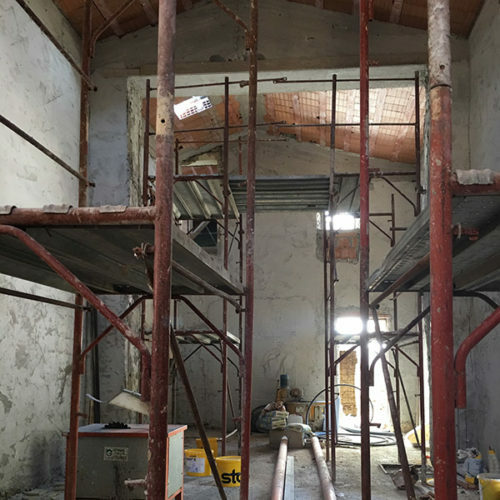 Sometimes our local collaborators just MADE STUFF UP ON THE DAY. It was wild. Completely unpredictable. And utterly, utterly charming. Just like the Ciociarians themselves. It was magical. 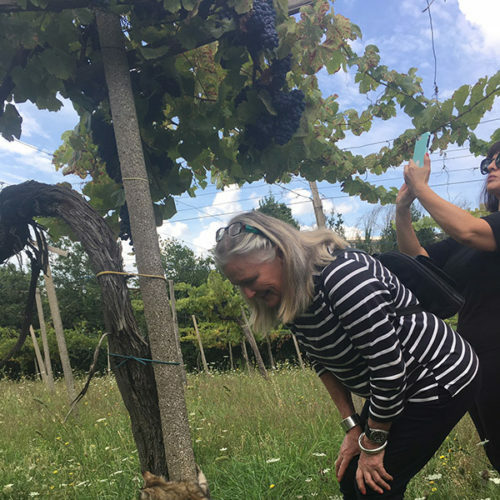 We started our Wild Heart of Italy experience by picking our guests up from Rome and driving straight to the Piglio wine region within Ciociaria. 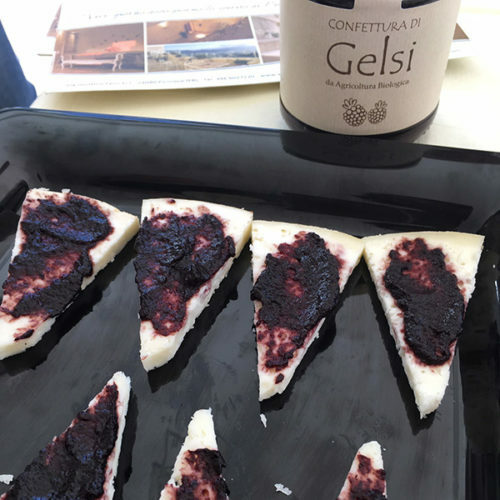 The ancient red wine varietal of Cesanese is grown here, and believed to have been the favourite tipple of Roman Emperors back in the day. 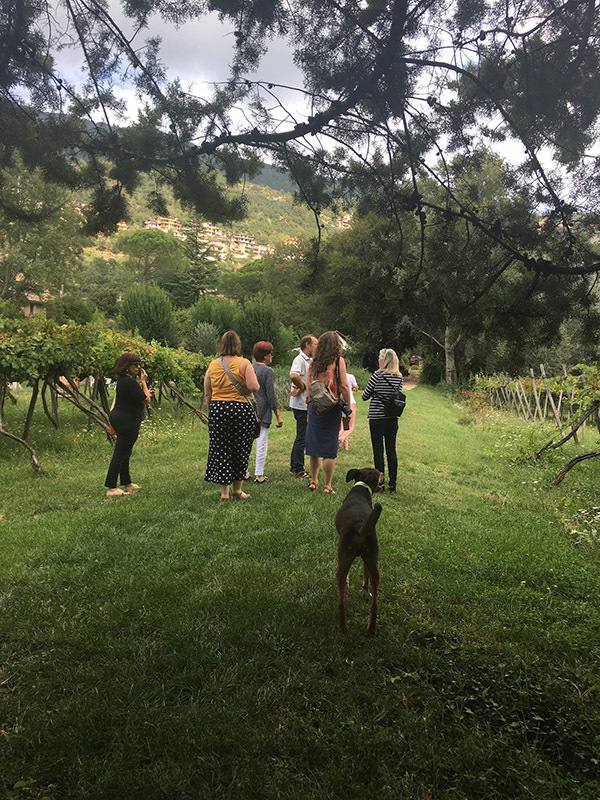 We were given a delightful walk through the organic vineyard of Maria Ernesta Berucci Wines, hosted by owners and vignerons Maria Ernesta Berucci and her husband Giminiano Montecchi. 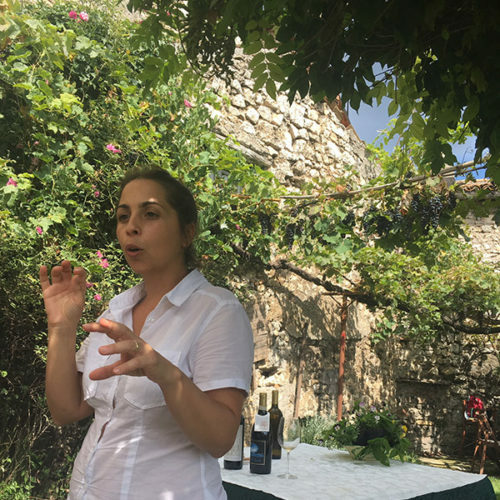 Maria specialises in producing hand-picked natural wines, using wild yeasts and without sulfur. 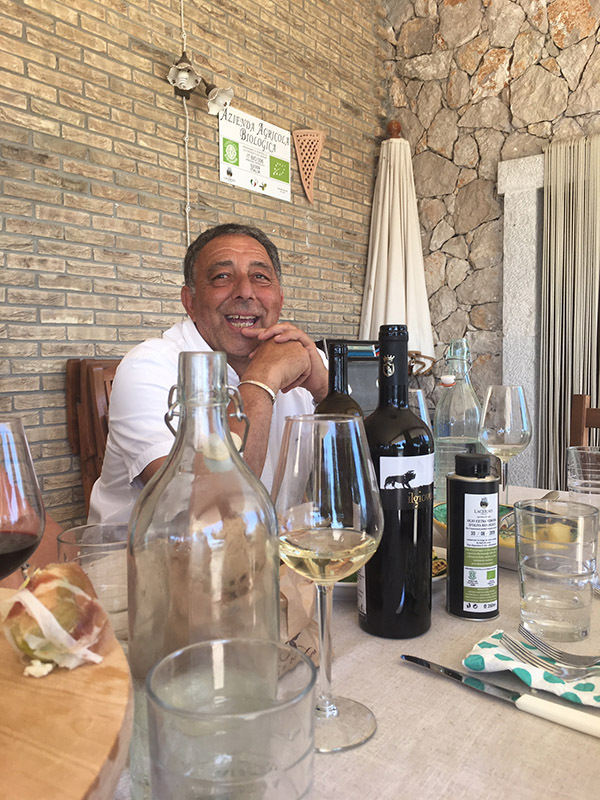 The results are spectacular, our guests claim this was the best wine they drank in all of Italy! 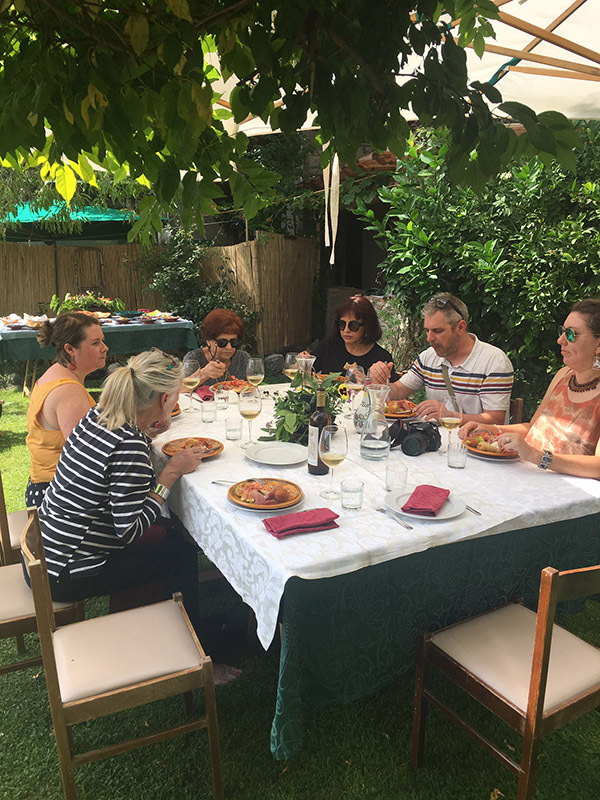 After our vineyard walk we were taken to the family’s 16th Century ancestral home, Casa Antica Massimi for a beautiful lunch in the villa’s garden, accompanied by a wine-tasting. 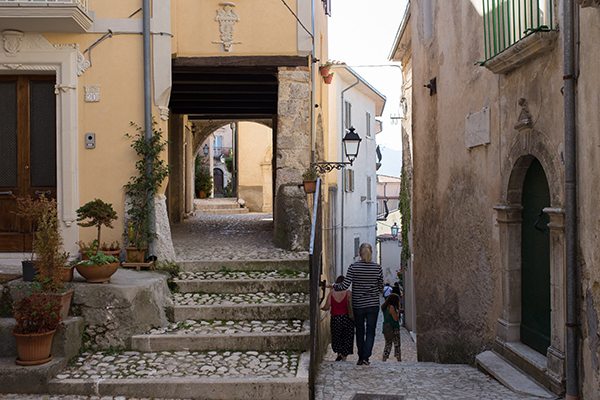 We searched for four years to find the perfect Italian village experience for our guests. 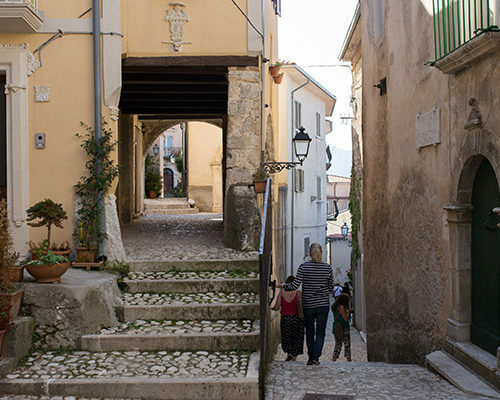 Perched on top of a mountain nestled in the arms of the Apennines and overlooking the Comino Valley, this tiny 1,000 year old village is centred around its ancient medieval castle. 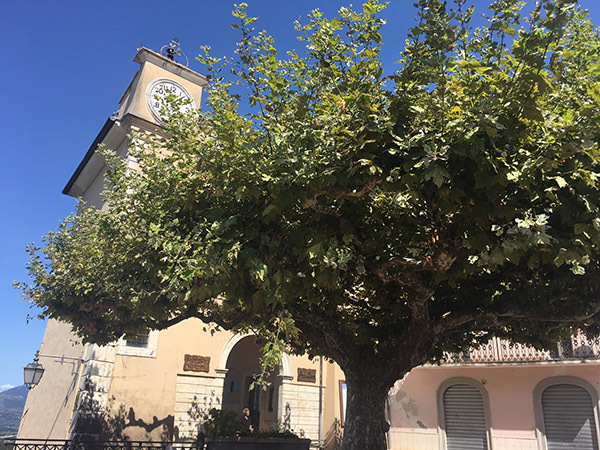 Within the castle walls our guests stayed in Albergo Diffuso Sotto Le Stelle, a series of beautifully restored private apartments with an inner courtyard that was formerly the Bishop’s Palace. 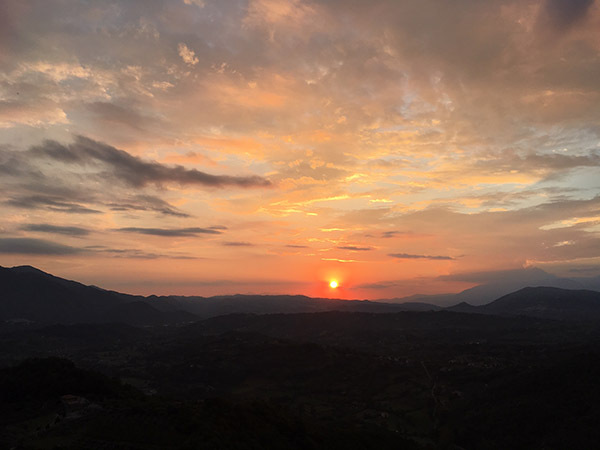 Bordering on the National Park of Abruzzo, Lazio and Molise we were all swept away by the views, the friendly locals and the glorious sunsets. 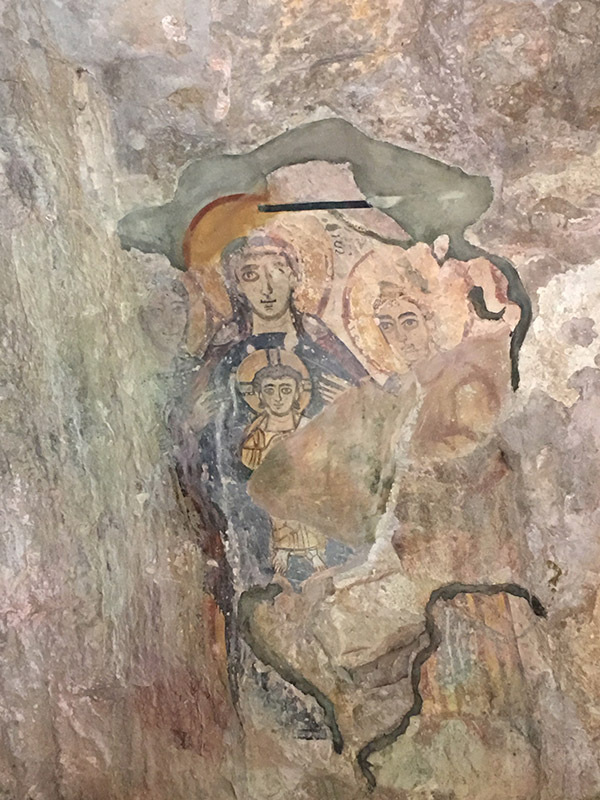 Visiting the Sanctuary of the Sacred Cave at the Monastery of Saint Benedict was life-changing for some of our guests. 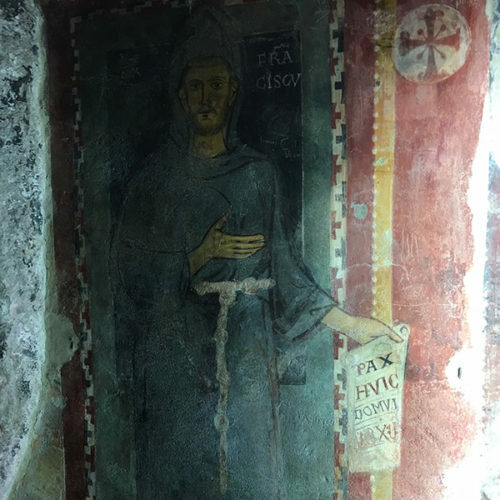 Built into a cliff, the 13th Century monastery actually enshrines the cave where Saint Benedict lived as a hermit for three years from the age of 17, before emerging to walk through Italy and establish the Benedictine Order around 500 AD. 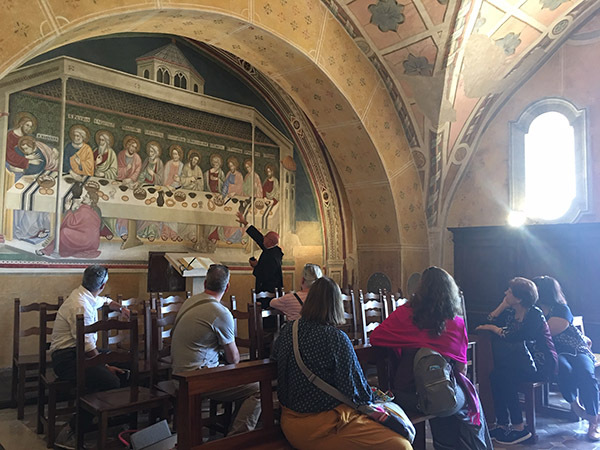 We were hosted by the effervescent Dom Maurizio, an art historian monk who gave us an unbelievable ‘behind-the-scenes’ tour and insight into the meaning of the frescoes that cover the sanctuary’s walls. 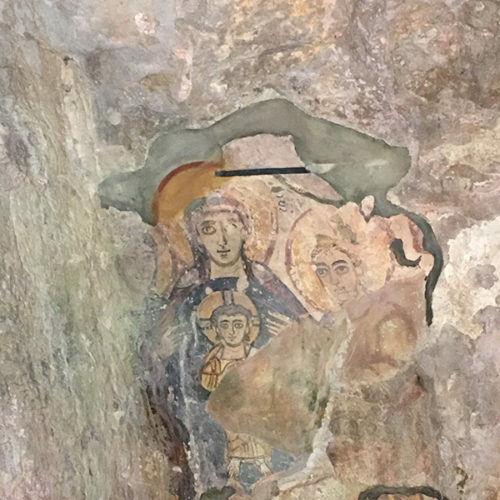 A place of pilgrimage since the 9th Century, the earliest fresco depicts the Holy Family and is believed to have been painted circa 800 AD. 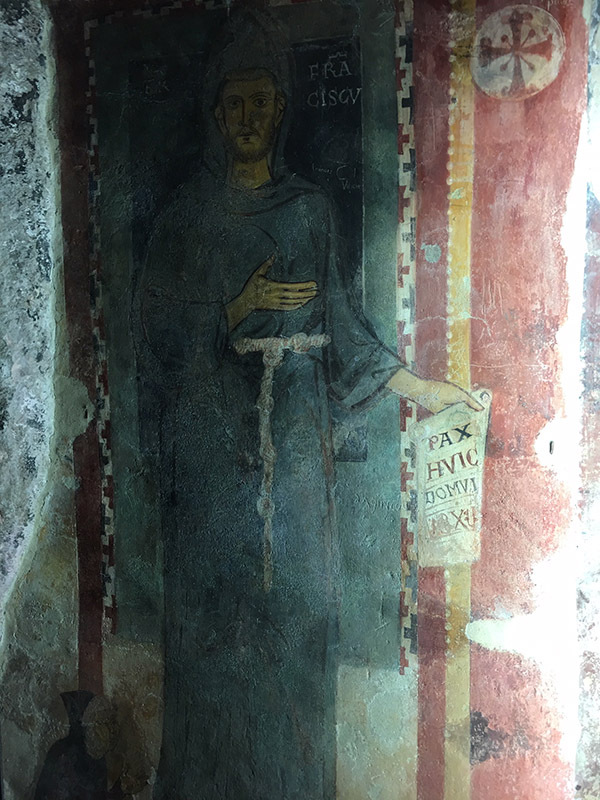 Saint Francis of Assisi visited the shrine in the 13th Century (before becoming a saint) and there is a fresco of him in a corner as if he’d just had his portrait taken. 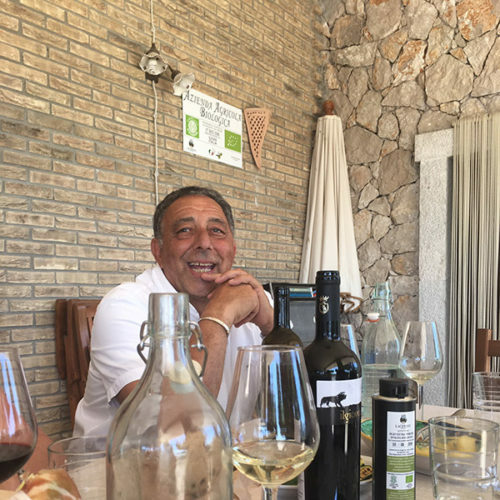 The monk’s private refectory boasts one of the world’s most interesting renditions of The Last Supper, and having it all explained by Dom Maurizio is an experience in itself. 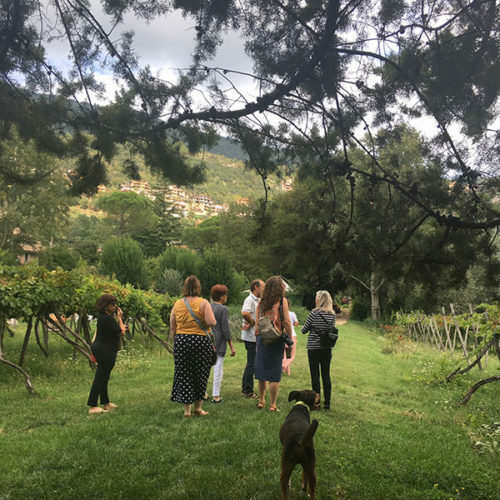 We were incredibly lucky to be given a sneak preview of I Ciacca organic farm in Picinisco – currently under restoration to bring back to life an ancient family villa and its surrounding farmlands, vineyard and orchard. 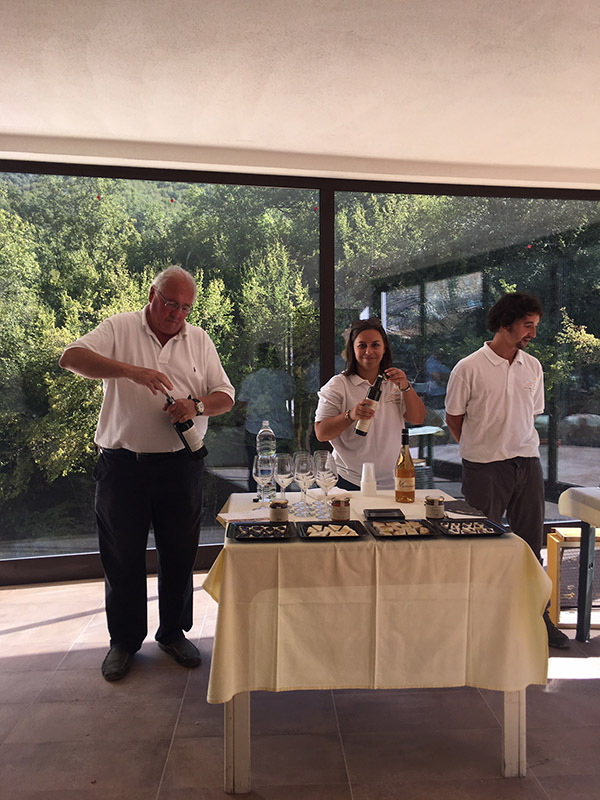 We were treated to a wine tasting of the vineyard’s first organic Maturano, a white grape variety indigenous to Piscinisco in Ciociaria. 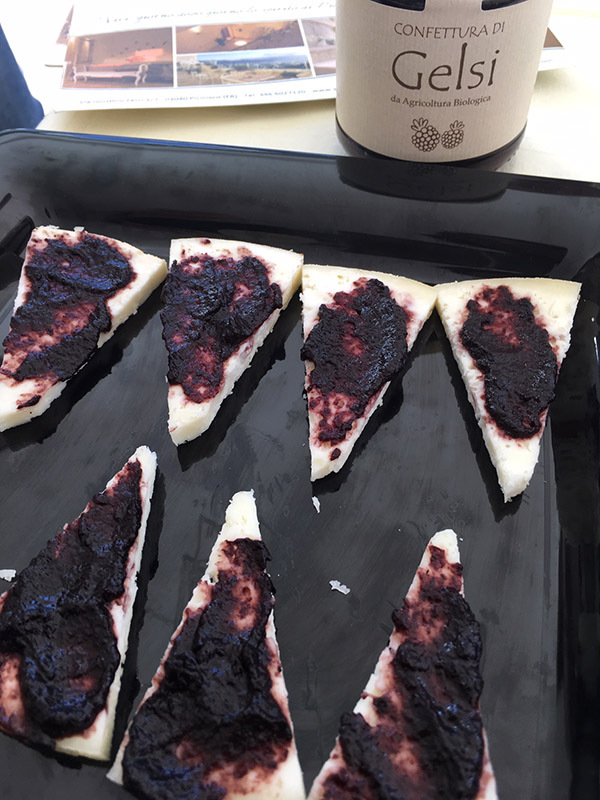 Our wine-tasting was accompanied by platters of artisanal pecorino with the farm’s homemade mulberry jam, plum jam and honey. 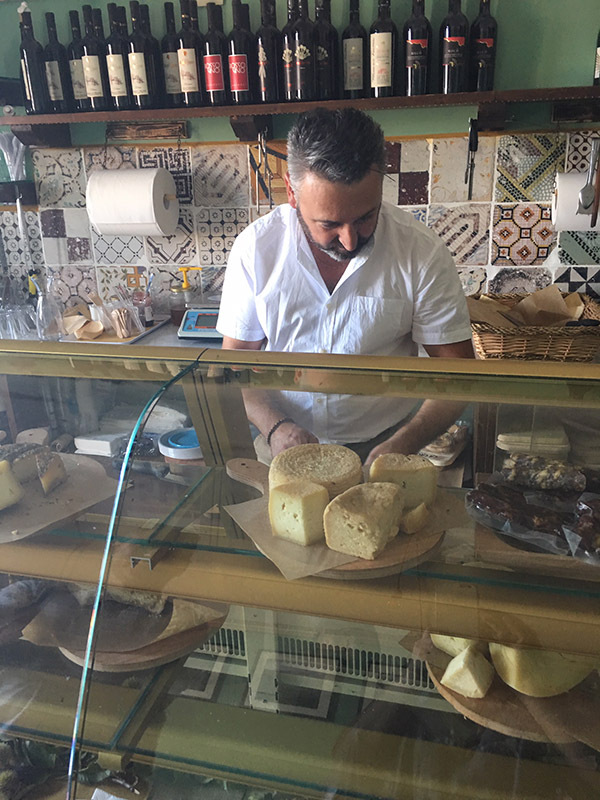 It was a real pleasure for all of us to meet the young locals proudly contributing to reviving ancient farming traditions under the visionary guidance of owner, Cesido di Ciacca. 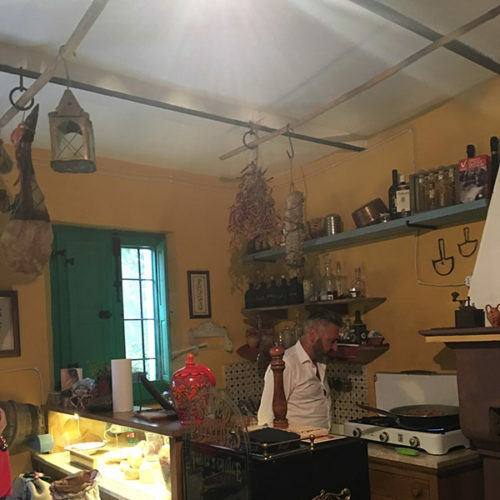 The vision of I Ciacca is to establish a school of gastronomy within the restored villa, reviving ancient techniques of cooking with copper utensils and wood fired ovens, and using traditional Ciociarian recipes with fresh, seasonal produce. 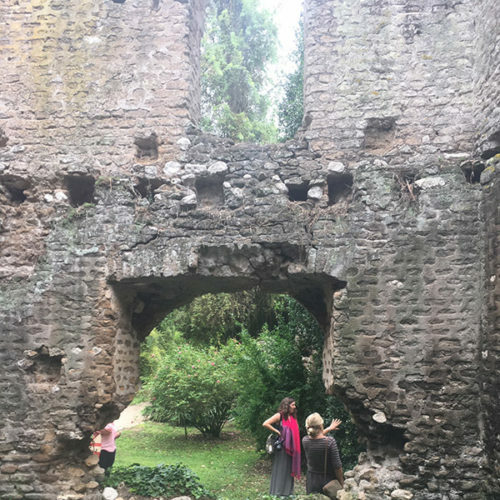 We took our guests on a day trip to Il Giardino di Ninfa – the gardens of Ninfa in nearby Latina. 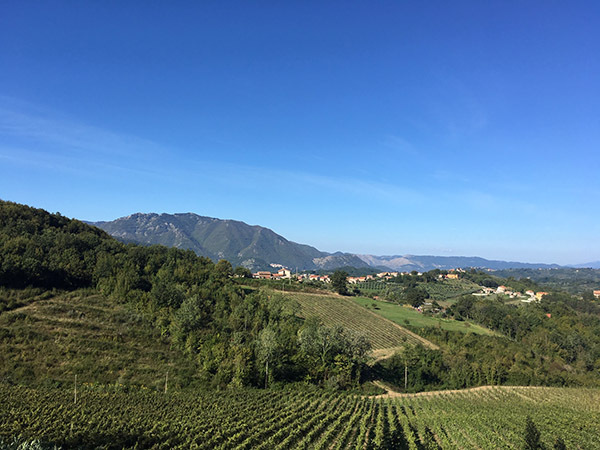 While technically not in Ciociaria, these two regions were very closely linked in Etruscan and Roman times. 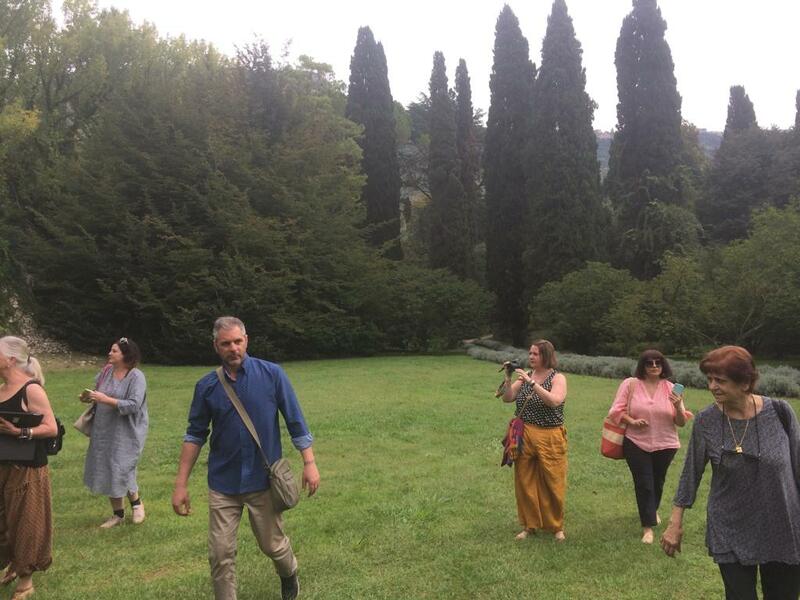 The gardens are renowned as the second most beautiful in Europe (after Kew Gardens in the UK) and we were treated to a private tour with the Director’s wife who was delighted to welcome her first group of Australian visitors to the gardens. 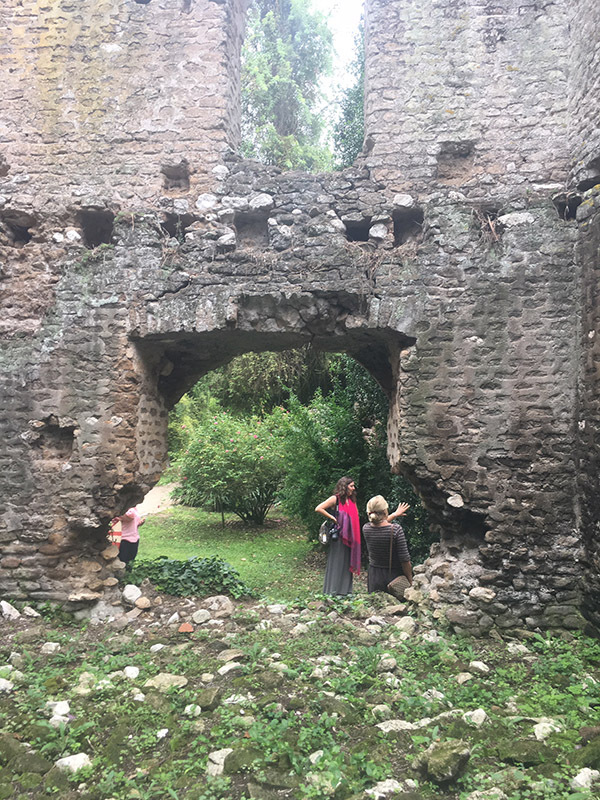 Words can hardly describe the ethereal atmosphere we were treated to during our private walk-through the remains of the medieval village of Ninfa, which are now preserved as part of the garden’s heritage. 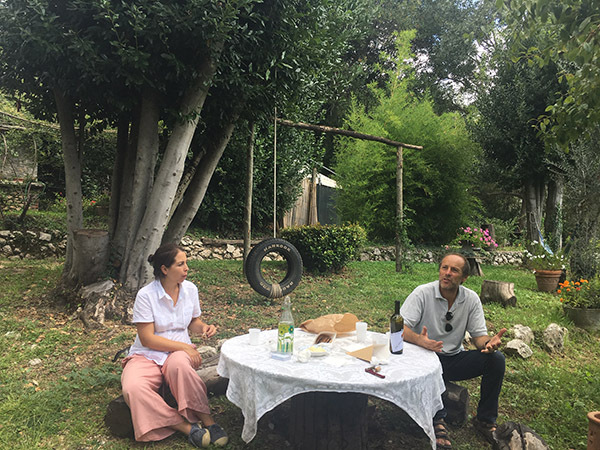 One of the highlights of our tour was a visit to the biodynamic vineyard of Poggio Alla Meta in Pescosolido, where we were treated to an olive oil tasting, a walk through the vineyard and orchard with vigneron and owner Luigi, and a long lunch at the cellar door with a table simply groaning under the weight of amazing seasonal produce and traditional Ciociarian fare. 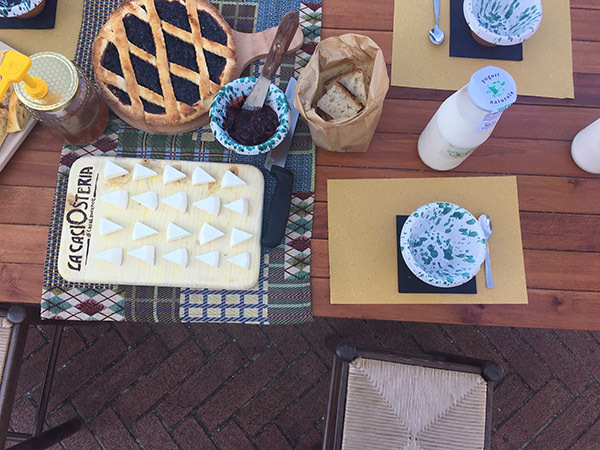 We started one of the most magical days of our Wild Heart of Italy tour with a traditional shepherd’s breakfast of fresh yoghurt, honey, cheese and a wild berry cake in the piazza of Picinisco with master artisanal cheesemaker, Loreto Pacitti. 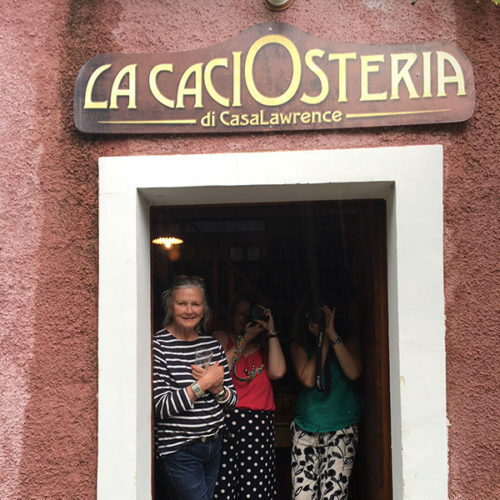 Loreto owns the small CaciOsteria (cheese house) in the piazza, which boasts its own cheese cave built into the side of the mountain at the back of the store. 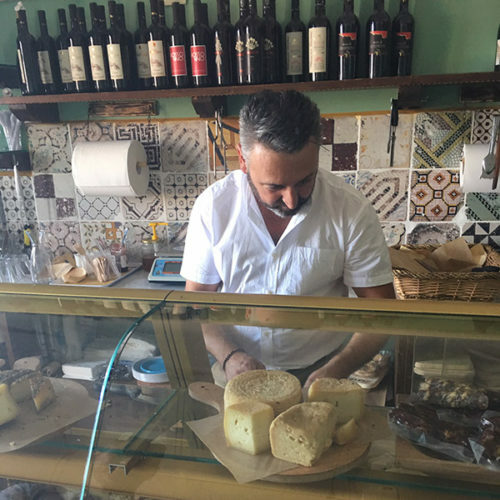 One of Picinisco’s most well-known locals, Loreto is absolutely passionate about local produce and Ciociarian cuisine. 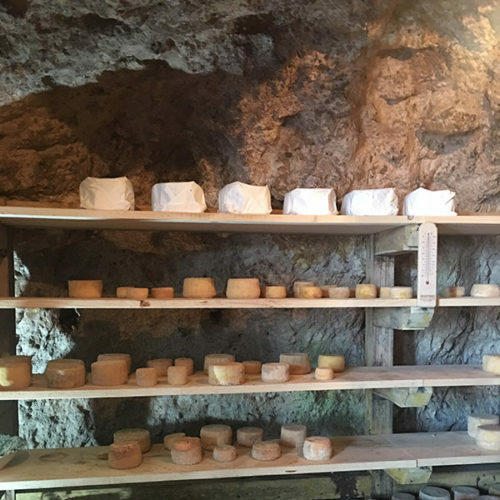 Last year Loreto’s pecorino cheese was officially awarded DOP status, recognised for its importance to the cultural heritage of Italy (we swear it’s also the best pecorino in the entire country). 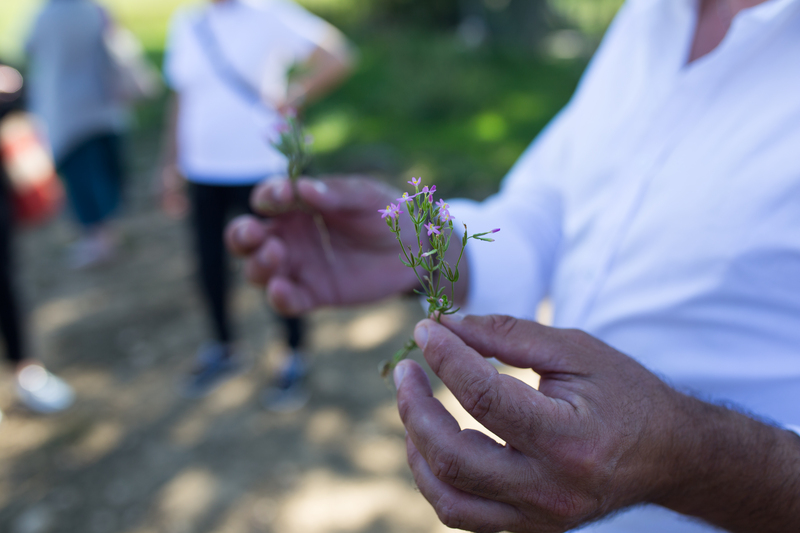 We were lucky enough to join Loreto and his healthy & happy flock of sheep on his farm in nearby Alvito, to forage for wild herbs alongside the country laneways. 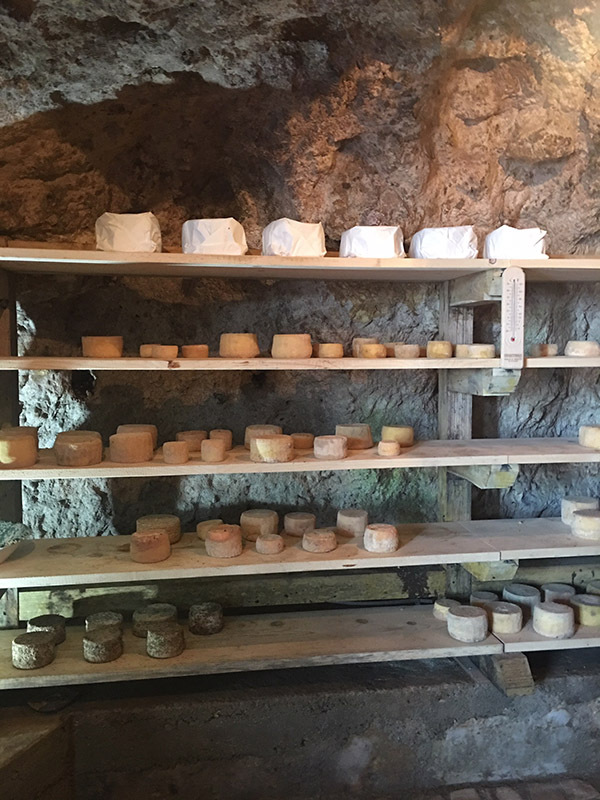 Loreto believes these herbs are the secret to his famous pecorino, as many have medicinal qualities and infuse the sheep’s milk. 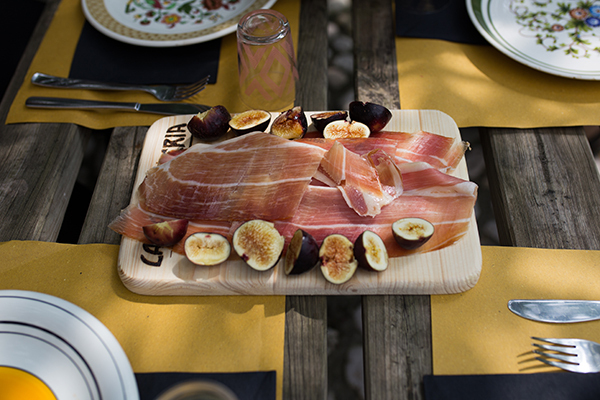 Following our foraging adventure we joined Loreto at his 19th Century English-style villa in Picinisco, Casa Lawrence for an afternoon of ricotta cheese-making and a lunch of thickly-sliced prosciutto, figs picked straight from the garden, and our freshly-made ricotta. 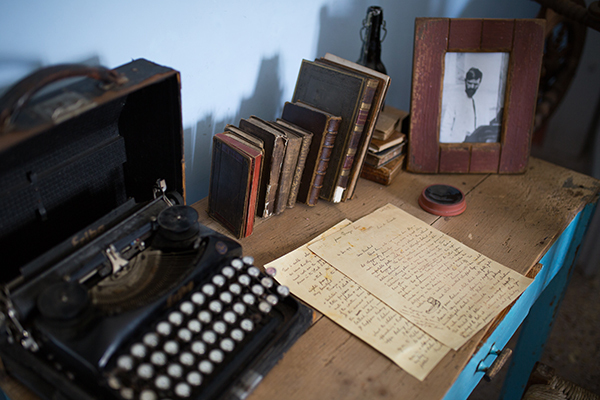 Casa Lawrence is actually the villa where DH Lawrence and his wife Frieda stayed in the 1920s while DH completed his novel ‘The Lost Girl’. 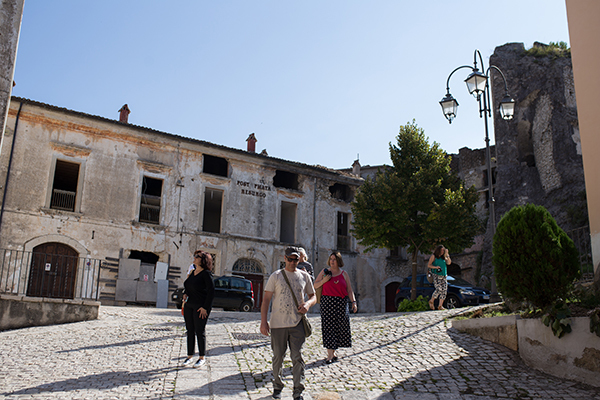 The Ciociaria region has a long artistic tradition, with many Ciociarians making their way to London in the 1800s to become artist models. 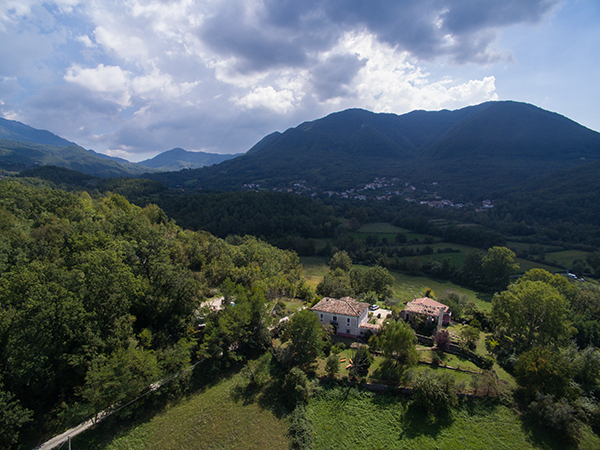 This English-style villa was built by one of the returning models who was friends with DH Lawrence, and offered them a place of quiet and rest to work on his novel while travelling throughout Italy. 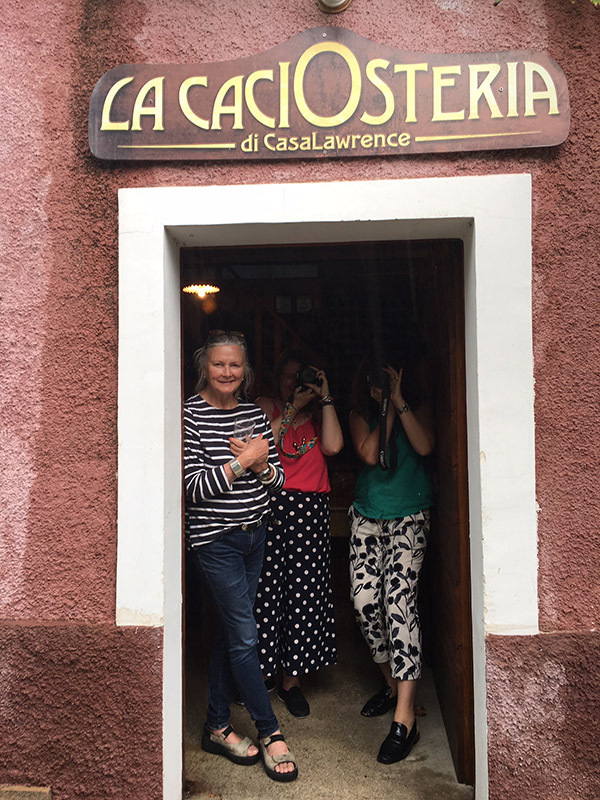 The lower level of the villa is now a traditional Ciociarian cuisine restaurant run by Loreto (and only open on Sundays), and the top floor of the villa is a perfectly preserved museum full of DH Lawrence and local agricultural memorabilia. 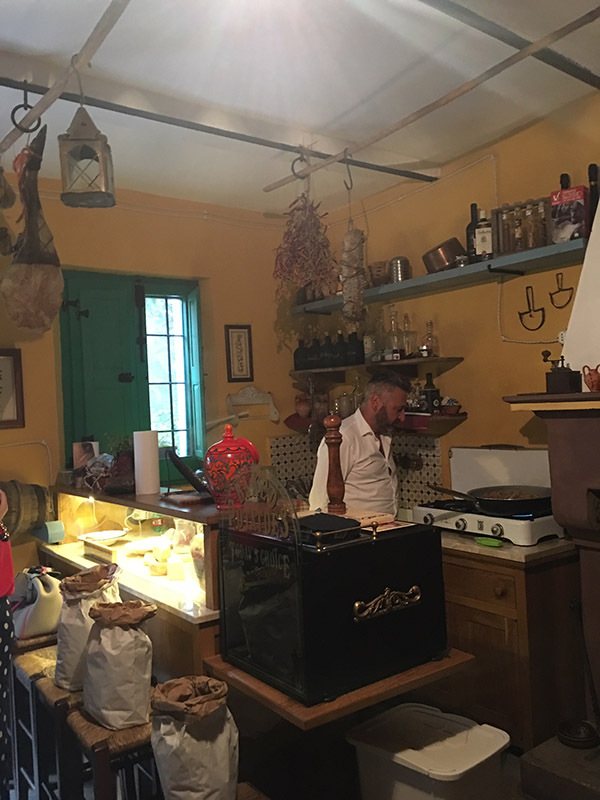 An unexpected Autumn shower drove us inside during our garden lunch, but it was the perfect cosy atmosphere inside the villa with the gramophone playing 1920s Italian songs and Loreto cooking us traditional Cacio e Pepe (cheese & pepper pasta). 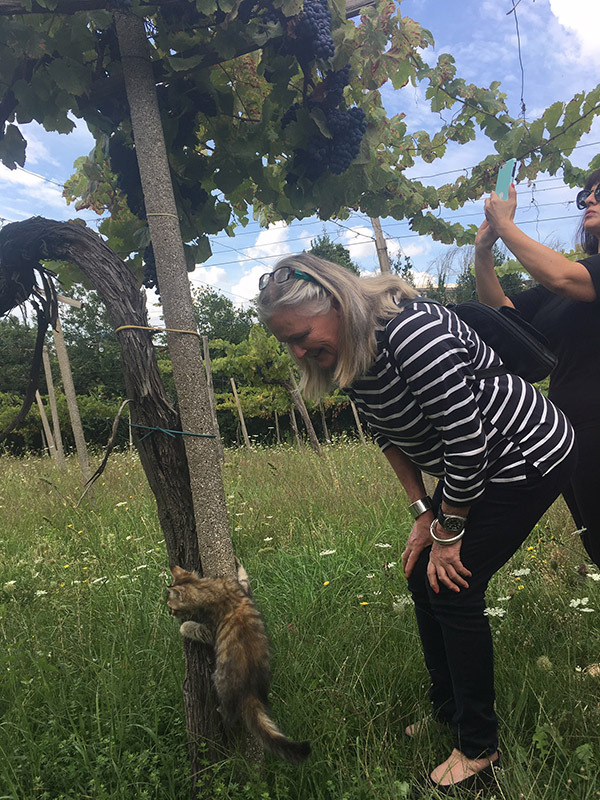 There’s not enough room to fully describe our Wild Heart of Tour experience in detail – we also managed to fit in market day in the medieval mountaintop town of Anagni, a Cabernet DOC wine-tasting at the La Ferriera cellar door in a 19th Century ironworks foundry in Atina, a visit to the beautiful town of Veroli, a sommelier wine-tasting at Cantina Cominium vineyard in Alvito, a day trip to the seaside at Terracina to view Roman temple ruins and we finished with a tour of Fumone castle and a medieval banquet farewell dinner in the tavern underneath the castle. 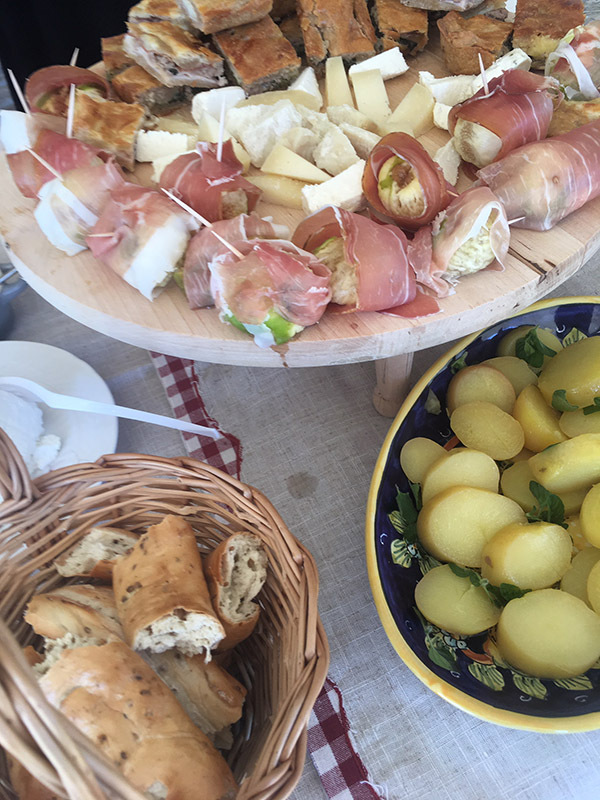 Our Wild Heart of Italy food and wine cultural adventure to Ciociaria is wild and beautiful. Much like the region itself. 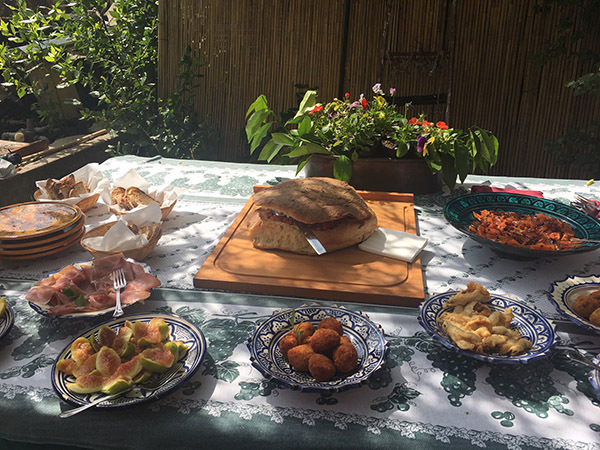 It is a tour designed for anyone seeking to get off the beaten track and immerse themselves in a truly authentic local experience of regional Italy. 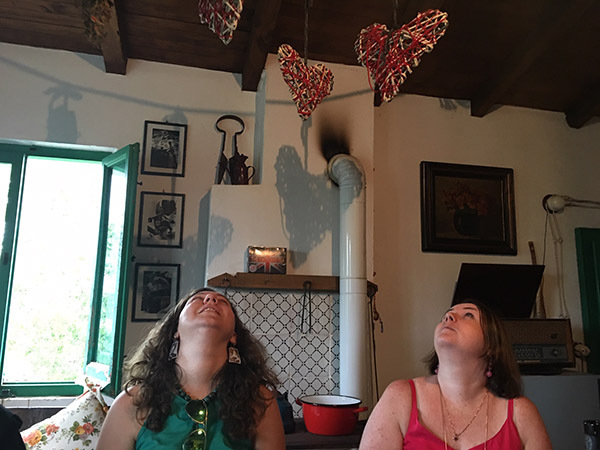 It’s an experience for seekers of the extraordinary. 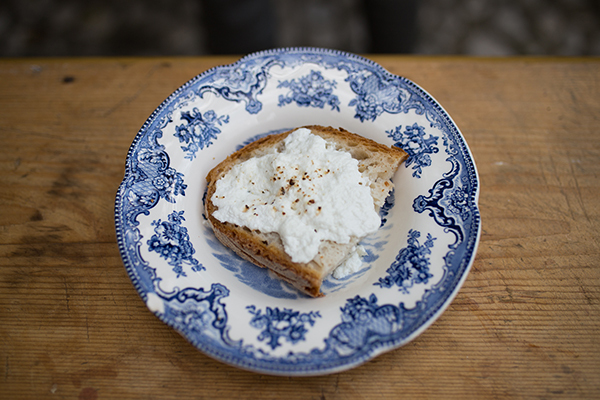 Designed for fellow travellers with soul. 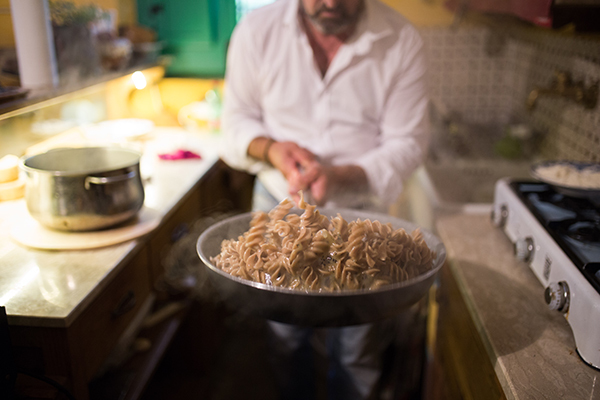 We collaborate with our local Ciociarian friends on all of our itineraries, and no tour is ever the same. 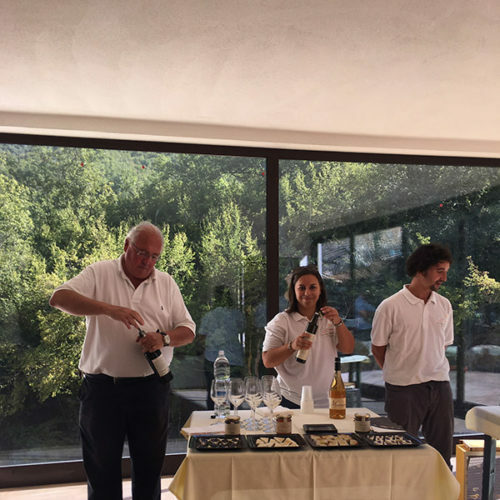 They love to contribute their brilliant ideas, come up with new ones, and surprise our guests with their warmth and hospitable welcome into their hearts and homes. 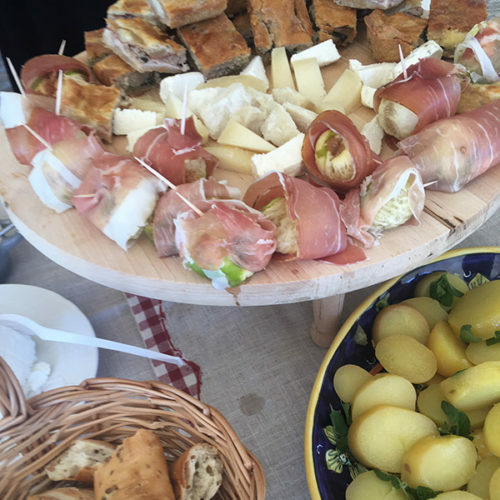 Just don’t expect lunch to be served at the exact same time every day – but that’s all part of the fun. Expect the unexpected. Embrace spontaneity. 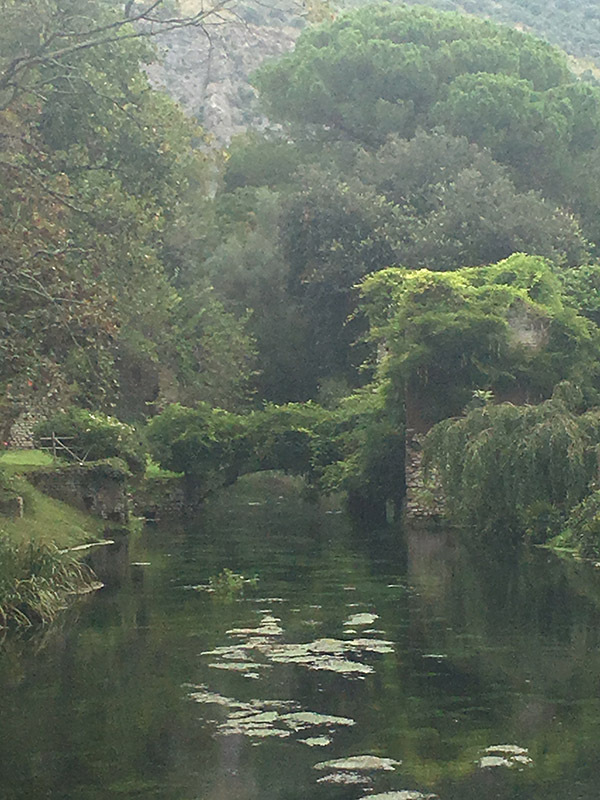 Go with the flow. 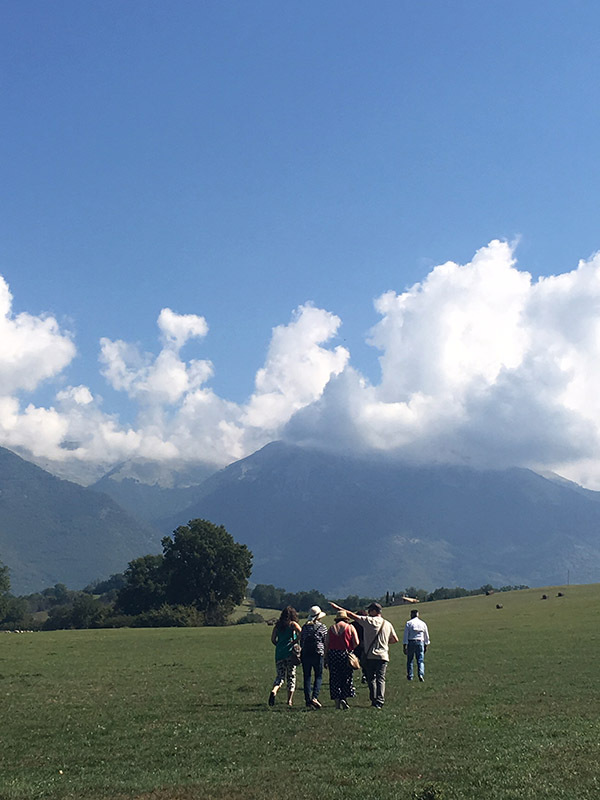 And join us for one of our next Wild Heart of Italy adventures. 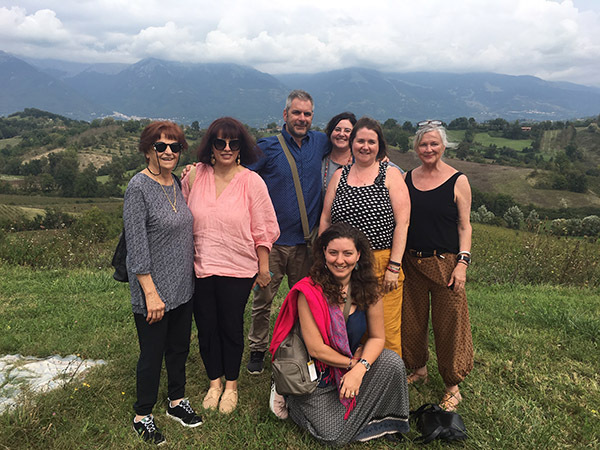 We have some exciting cultural adventures planned for foodie explorers & aficionados across 2019 and 2020. 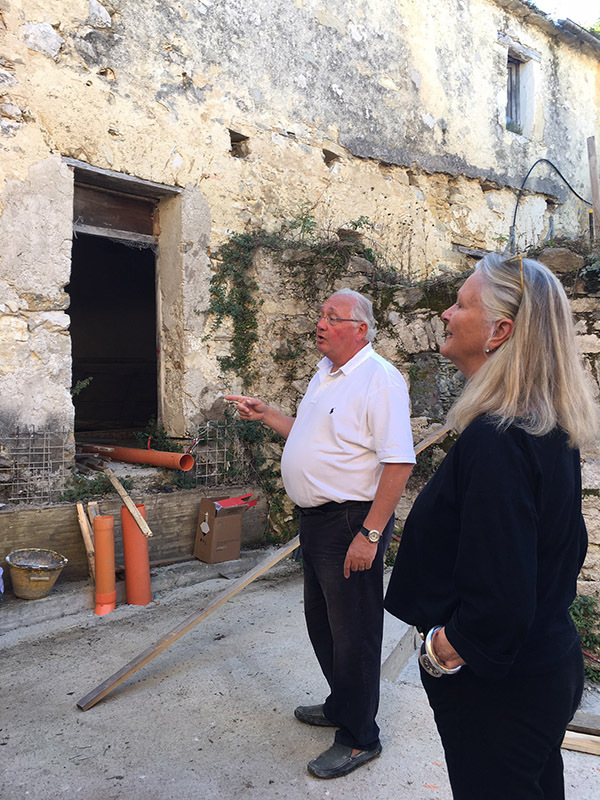 Each of our tour itineraries are created bespoke and no tour is ever the same.